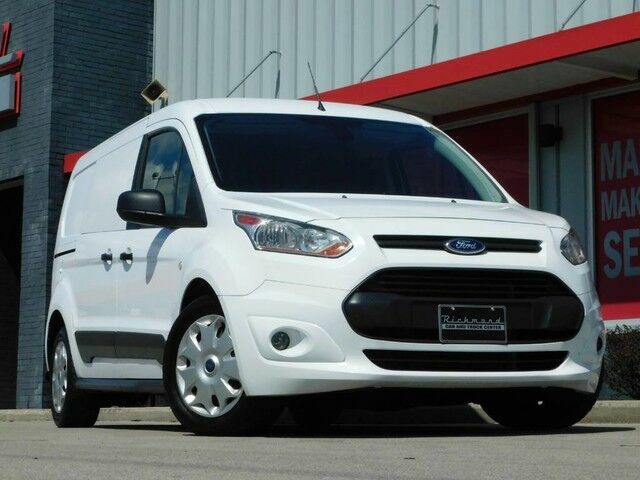 Richmond Car and Truck Center is pleased to offer this 2016 Ford Transit Connect XLT. This Ford Transit Connect XLT has a beautiful Frozen White exterior and Charcoal Black Vinyl interior. Youll find many great features like Driver/Passenger Side Sliding Doors, Adrian Steel Shelving System, MicroSoft Sync, Overhead Storage Bin, Rear Metal Partition (separating the cargo area from the rear cargo area), CD Player, Rear Backup Camera, Front Fog Lamps, AUX Connection and Stability Control. Carfax affirms that this Ford Transit Connect XLT has only had one previous owner, one noted incident and comes with the 100% Carfax Buyback Guarantee! Due to our pricing our vehicles sell pretty quick, so call ahead to be sure of availability! This Ford Transit Connect XLT has been fully detailed, fully serviced and ready for delivery at Richmond Car and Truck Center of Richmond, Ky.